Wellesley Recreation Ground ParkWellesley Recreation Ground, Great Yarmouth, has undergone significant regeneration in recent years and includes an all-weather athletics track, football grandstand, new 3G multi-sports facility and tennis court. 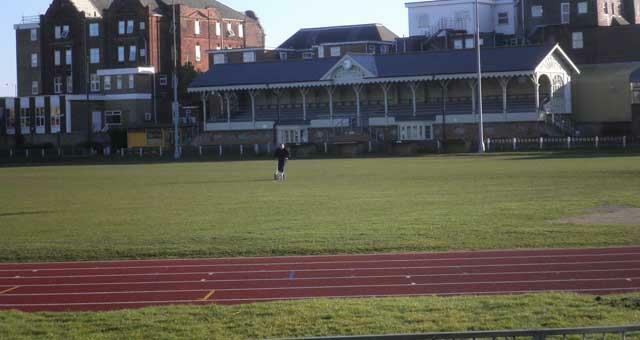 The ground is the home of Great Yarmouth Town Football Club, affectionately known locally as 'The Bloaters' and also the Great Yarmouth and District Athletics Club. Individuals are welcome to use the track facilities from 9am-5pm Monday to Friday free of charge. 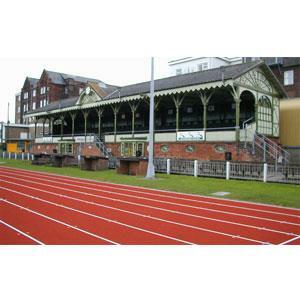 Track is generally open all the time except when footballers are there. Club times Mondays & Thursdays 1900-2030 and Sunday mornings. Monday-Friday 9am-4pm at £12.90 per hour which includes floodlighting if required. If a block of 10 sessions is booked then the discounted rate is £214.78 which equates to £21.47 per hour. If a block of 20 sessions is booked then the discounted rate is £429.56. These sessions can be booked by telephoning Paul Kelf, GYB Services Ltd on 01493 742180. Individuals are also welcome to use the track facilities from 9am-5pm Monday to Friday, free of charge. On arrival in Great Yarmouth follow signs for the Seafront taking a left turn onto Wellesley Road from Euston Road. Wellesley Recreation Ground is located at the far end of Wellesley Road where it joins Sandown Road.